Have you ever Googled in search for an answer, and gotten the answer right away at the top of search results, without having to click through to a website? 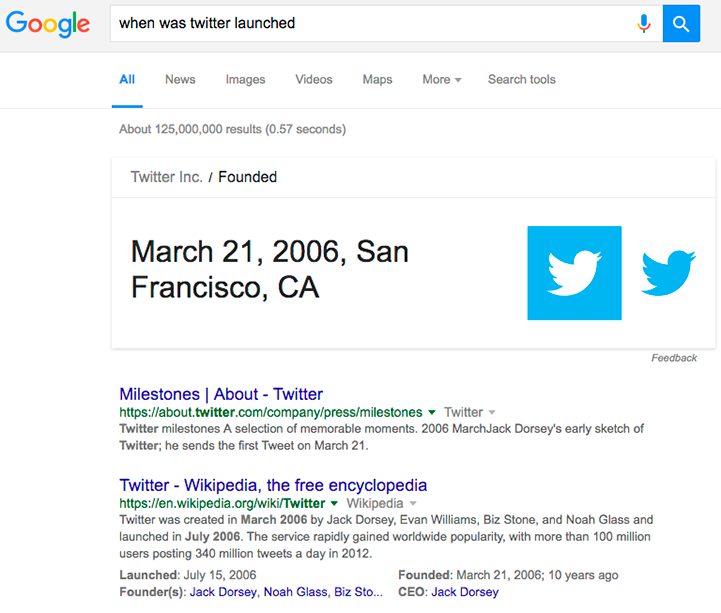 Then you have seen Google’s famous (or, depending where you rank in search results, infamous) Answer Box powered by the Knowledge Graph. For search users, it’s a blessing because it provides immediate answers to your questions without additional clicks through to a website. To website owners, on the other hand, it can be a blessing or a curse. It can be a blessing in two scenarios: if your website is the one that provides the answer for the Answer Box and leads the searcher to click through for additional details, or if your website is the closest search result that provides either a more thorough answer or a next step. On the flipside, it can be a curse if your website provides the same answer as the Answer Box or if your website is too far down the page so that searchers either get their answer from the Answer Box or the next relevant result instead. In this post, I am going to dissect some popular Google Answer Box search results to help you learn how to optimize your site and, hopefully, get more clicks. For the purposes of this experiment, we will be using the Chrome incognito window to prevent as much personalization as possible. First, let’s look at the Google Answer Boxes you just can’t win, or ones where your website will likely never be able to supply the answer. Like today’s date and time. 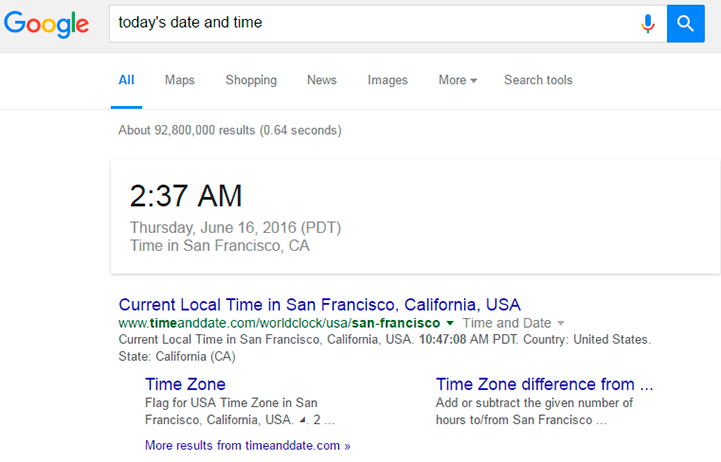 If someone searches for today’s date and time, Google will give them the answer them based on their current location. While you can’t win in terms of being the source of information for the Google Answer Box information, you can win in terms of what the search user will see next. The key in this instance is the meta description the web page that comes up. 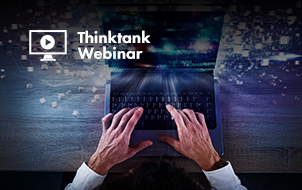 What can your web page offer beyond just the date and the time? Sometimes, Google Answer Boxes don’t exactly provide the answer that the searcher is looking for. For example, if someone searches for “when is game of thrones on”. Granted, this one is a tough one to answer since there are so many cable networks, time zones, etc. So considering, you would think no answer is the best answer. But instead, a searcher might get this. Since Wikipedia is a trusted source, it naturally becomes the source of many of Google’s Answer Boxes. And if you were to click through to this Wikipedia article, you would get the dates of as many episodes of Game of Thrones that are scheduled to premiere. But not exact times. 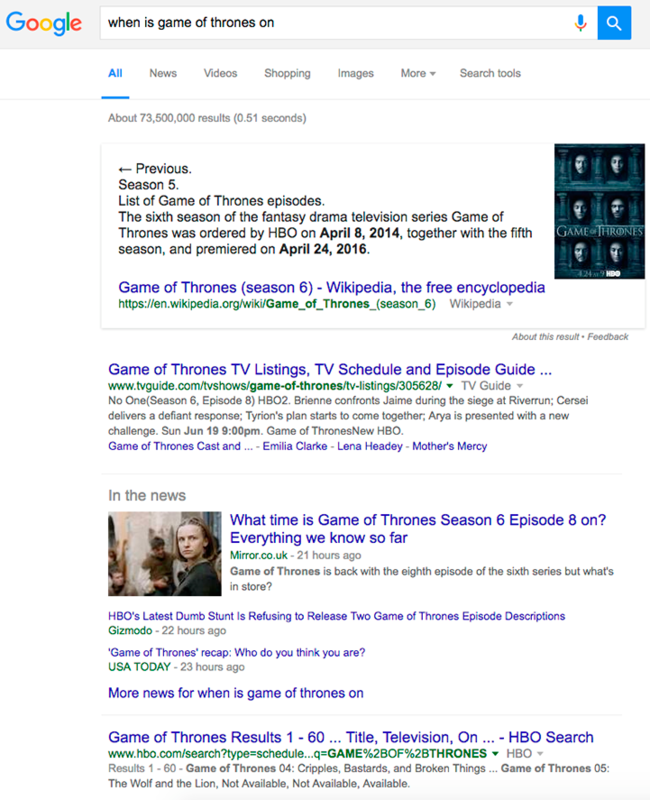 So in this instance, TV Guide wins the day by ranking below the useless Google Answer Box by providing just what the searcher needs – a guide to when Game of Thrones will be on next on their cable network in their location and time zone. Other times, Google provides just the answers a searcher is looking for. So well, in fact, that the searcher may not need any additional info. Like this search for the current MLB standings. In this instance, if you want to get people to your website, you have a few options. 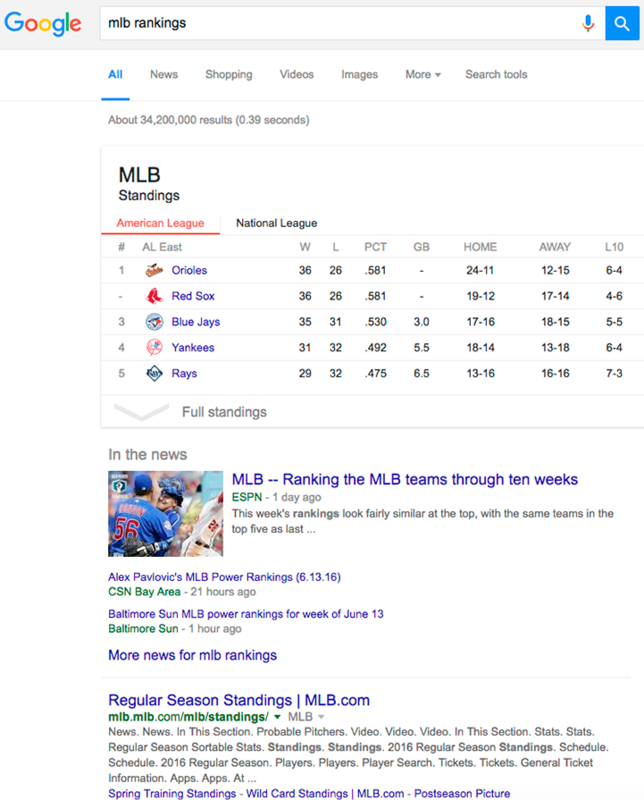 Beneath the Google Answer Box, the searcher will see the latest news about the current MLB standings. This might be a good time to create articles similar to the ones you see above, along with predictions about the postseason like the MLB provides in their in-depth links below the news links. 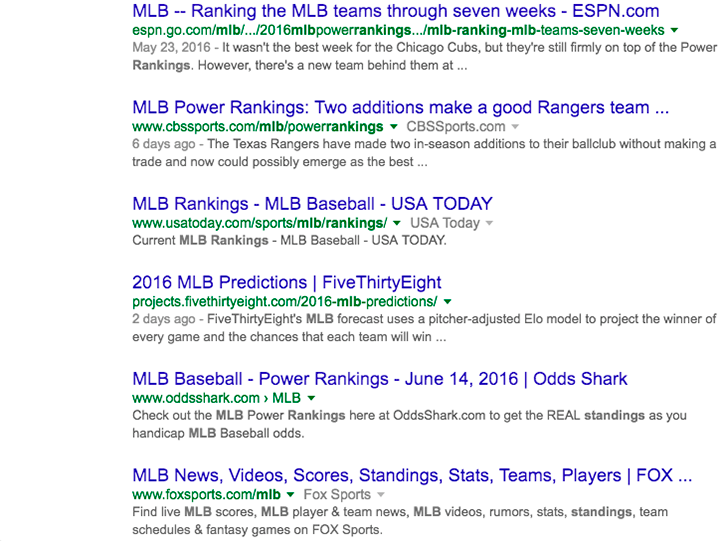 Further down the search results, you’ll see more MLB standings from other leading publications. One thing that all of these lowering ranking sites could do is vary their titles and meta descriptions. Everyone offers the same MLB rankings – find a way to offer the searcher something more! 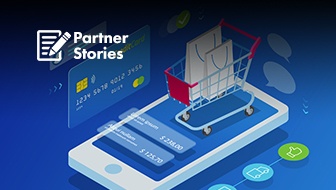 They receive shopping results, the brand’s own AdWords ads, and then a Google Answer Box taking the searcher to the website where they can download the software. 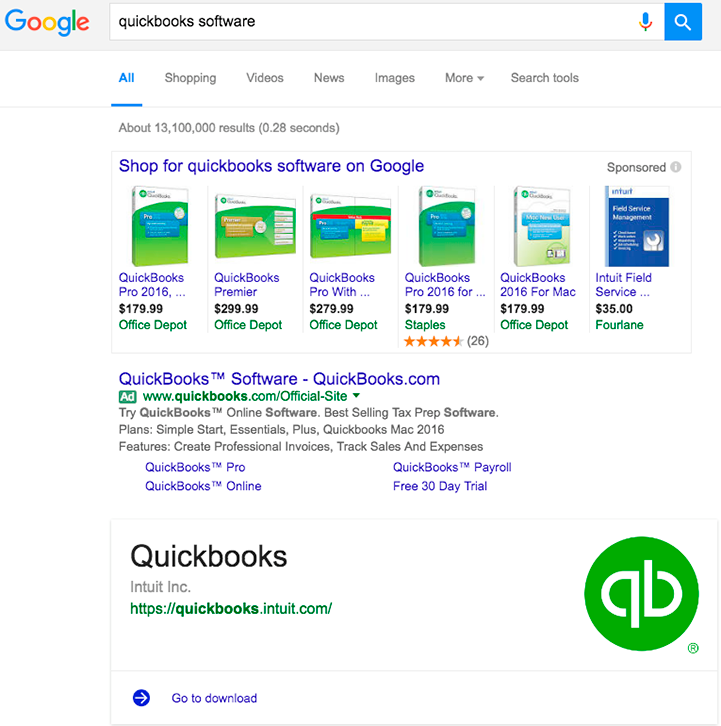 Now interestingly enough, you would think there was some optimization on the pages for Microsoft Office or Quickbooks that tells Google that users can download their software on those pages. But there’s not. As a matter of fact, a quick check of the source code of both of the “Go to download” landing pages does not mention the word download once. One might consider that backlinks may have something to do with it. 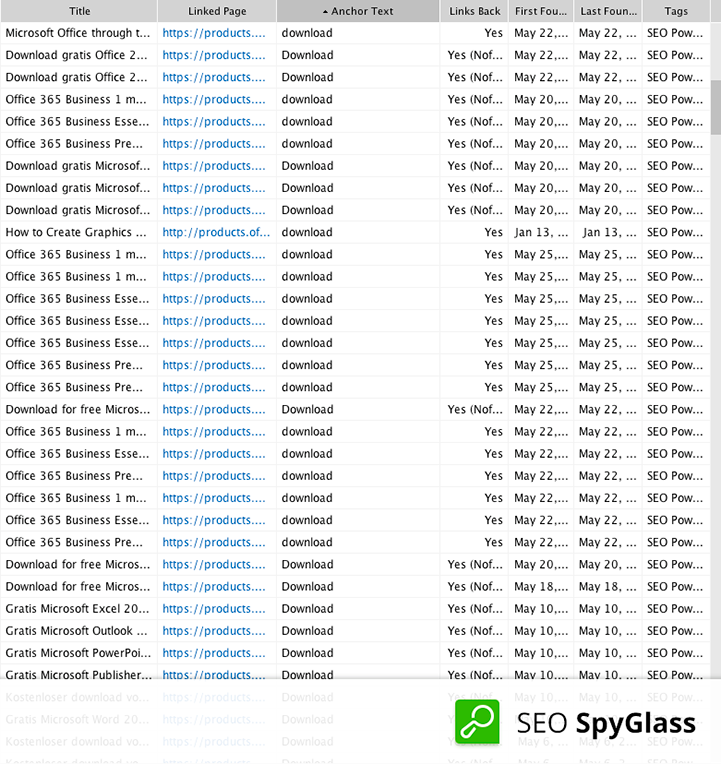 A quick analysis with SEO Spyglass (full disclosure, my company owns this tool) revealed that the Microsoft Office landing page linked to in the Google Answer Box had over 400 backlinks with download in the anchor text. 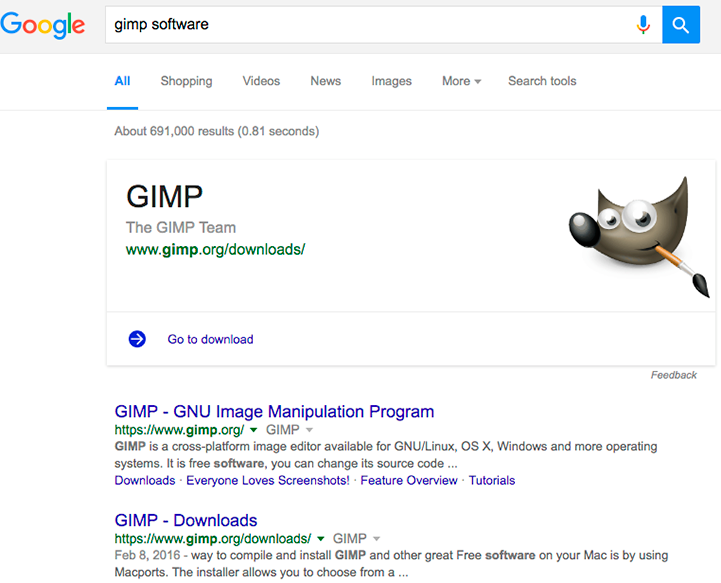 Or it could simply be Google’s assumption that people looking for software are looking for a source to download said software. Hence, the best answer is to point the searcher to the official resource to download the software. Of course, in this case, they are competing with their own advertisers and ad revenue, so it seems almost counterintuitive. Nonetheless, if you have downloadable software, it may not hurt to try to build a backlink profile with download in your anchor text. Also, create a page on your website that is fully optimized for downloads. The combination should signal to Google that you have the official source for the download of your software. As a free software provider, it’s good that your users get your software from you so that they don’t end up with a version attached to spyware. And for paid software providers, getting customers to buy directly from you means 100% profit. And getting customers to buy from your Google Answer Box instead of your ad or your resellers means zero additional costs to make the sale. 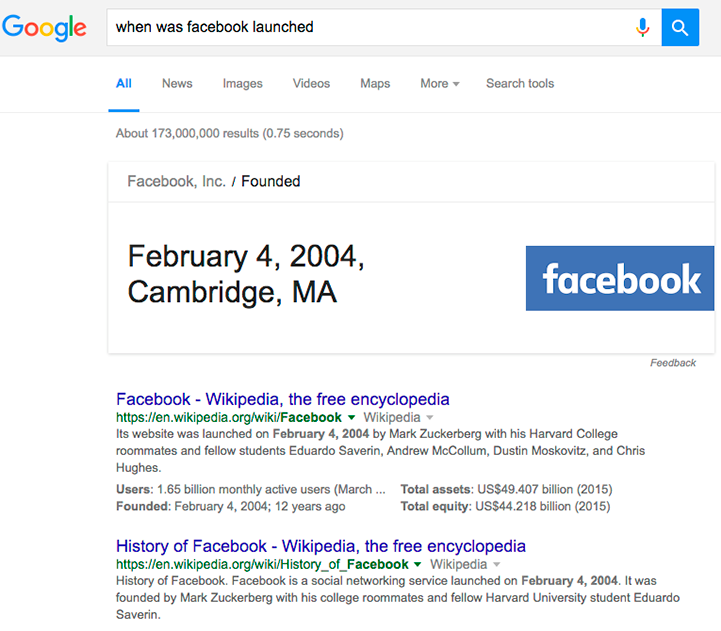 While Facebook’s is followed by Wikipedia entries (and no direct Facebook source anywhere on the first page of search results). 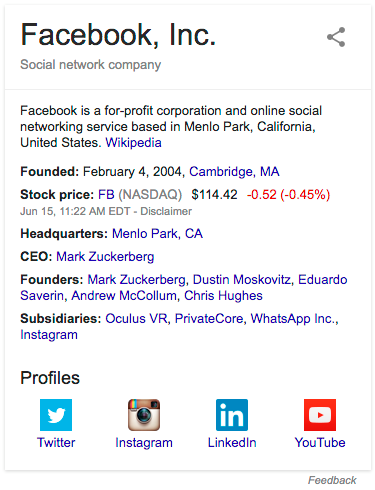 You could say that Facebook has it really bad, considering that their Knowledge Graph box to the right of first page search results doesn’t even include a link to Facebook or a link to Facebook’s official Facebook profile. In case you were wondering if it was possible to have your website link below the Google Answer Box, and information for your company and social profiles in the Knowledge Graph Box to the right of search results, the answer is yes. Take Toyota, for example. 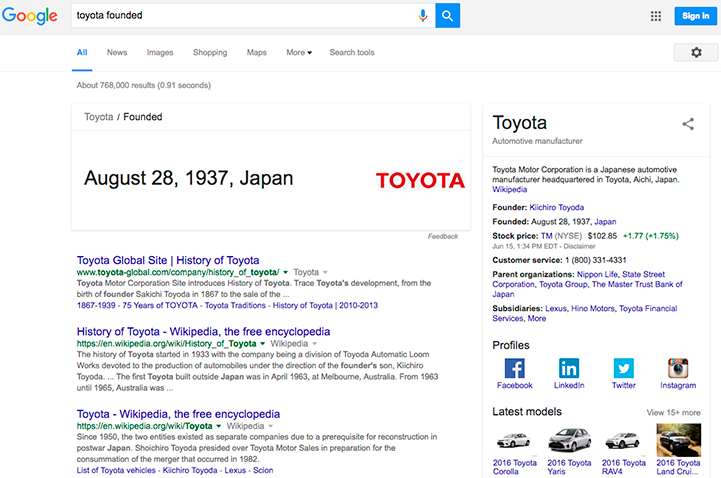 Here you have the Google Answer Box pulling information from the Toyota Global website, and links to the Facebook, LinkedIn, Twitter, and Instagram profiles of Toyota. If you want to enhance your own Knowledge Graph box (the one to the right) then refer to the structured data for your site to help Google get to know your business. 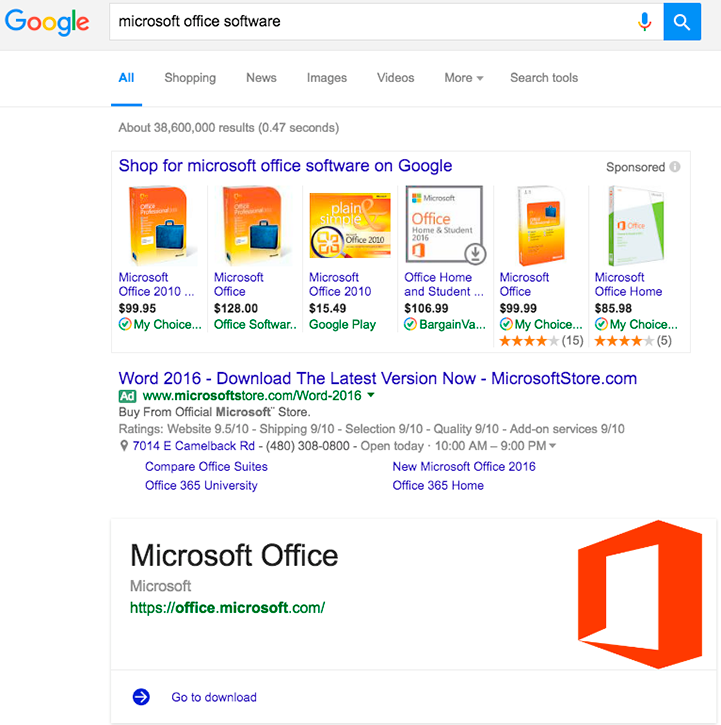 They may even help Google configure a great Answer Box for your business too, as structured data helps power Google Answer Boxes! Are you going to become the source for the latest information about stocks? Likely not, as Google, Yahoo, and MSN have the authority for the time being. 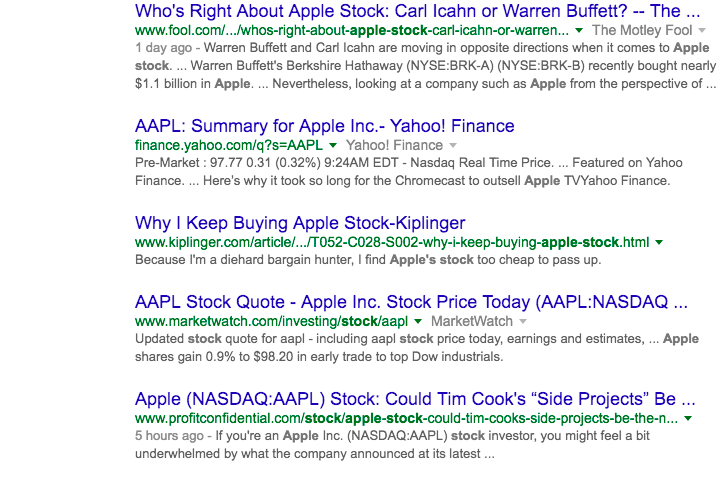 The next best way to get a searcher’s attention is through the news by talking about specific stocks. With Apple, the latest way to get in is to talk about the new announcements from WWDC 2016, new product announcements, and how they may or may not affect Apple stock prices. This will get you in a searcher’s view for not only stock pricing, but also grab the attention of investors that are also devoted Apple fans and tech geeks. 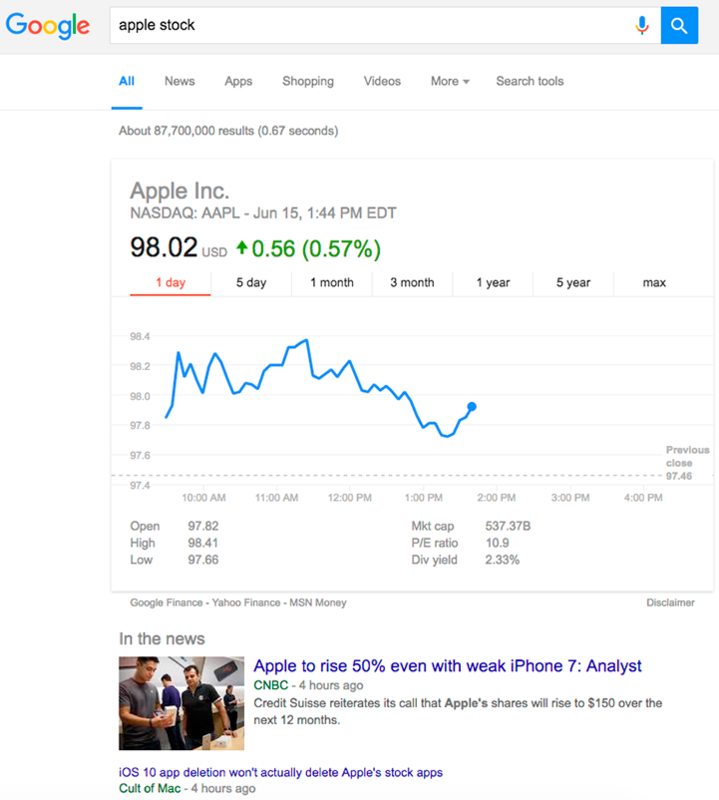 Past the news, you can rank for things like Apple stock buying advice, detailed analysis of Apple stock, and similar articles like the ones below. These, of course, would be perfect for just about any financial website trying to get traffic from searchers of popular stocks. Depending on your industry, you may want to think about the Google Answer Boxes you might want to be close to in rankings. Take real estate professionals, for example. Something a potential home buyer might research is the population of a city they want to move to. As a real estate professional, you are not going to be the source for the answer box. 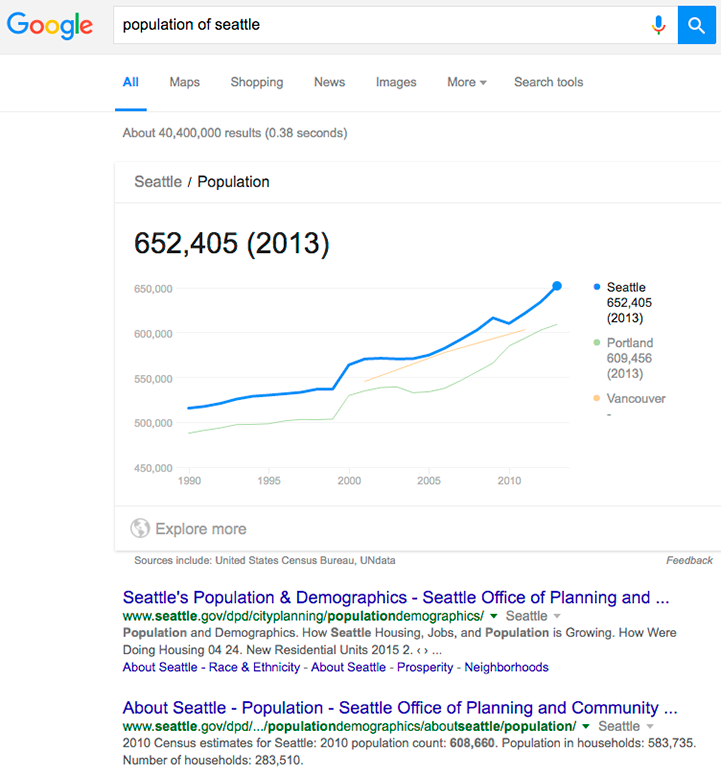 But if someone is searching for this information because they want to move to Seattle, it would be wise to have a page on your website that ranks for the population of Seattle along with other great information, such as the best areas to live, the best school districts, etc. If you can be the only real estate professional on that page, you will likely get some tremendous business. Because at the moment, for this search, there isn’t one. Hint hint. Here’s another one. Let’s say you have a service that helps people improve their resumes. They might be, out of curiosity, looking at the unemployment rate of a city they plan to move to see if they will have a good chance of finding a job. 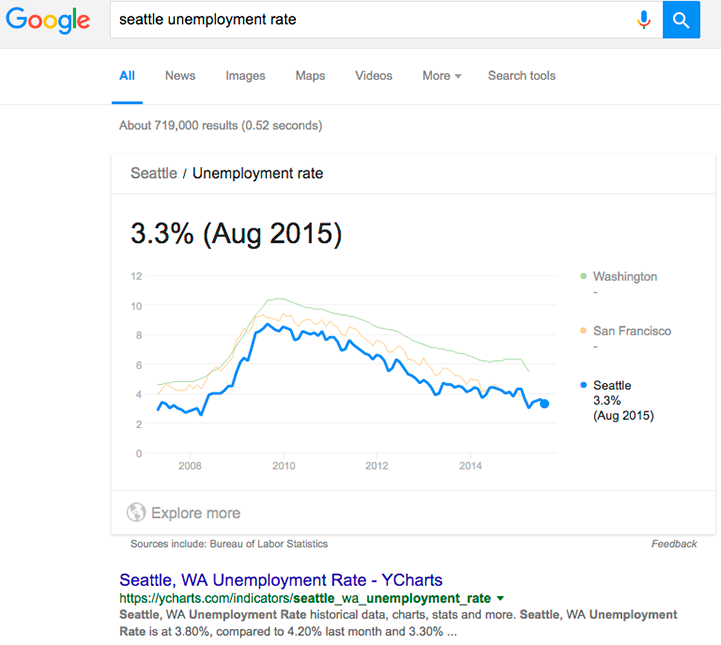 Be on that first page of search results with a page that details the unemployment rate in your city and explains how your service aims to lower that rate through improving resumes and cover letters, giving fashion advice, and helping people prepare for interviews. 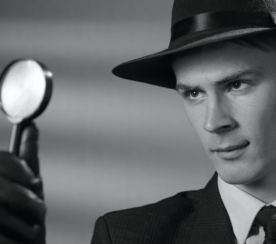 You’ll likely get that searcher to click on your link after they review the chart. If you want to take it a step further, partner up with a real estate professional for referral commission for some added revenue for anyone you send their way. Your win in search results can equal a win in search results for another business as well. Now, let’s look outside of real estate and employment. What about language? What languages are spoken in, say, Iceland? Rosetta Stone and universities that offer language courses should be all over this one. 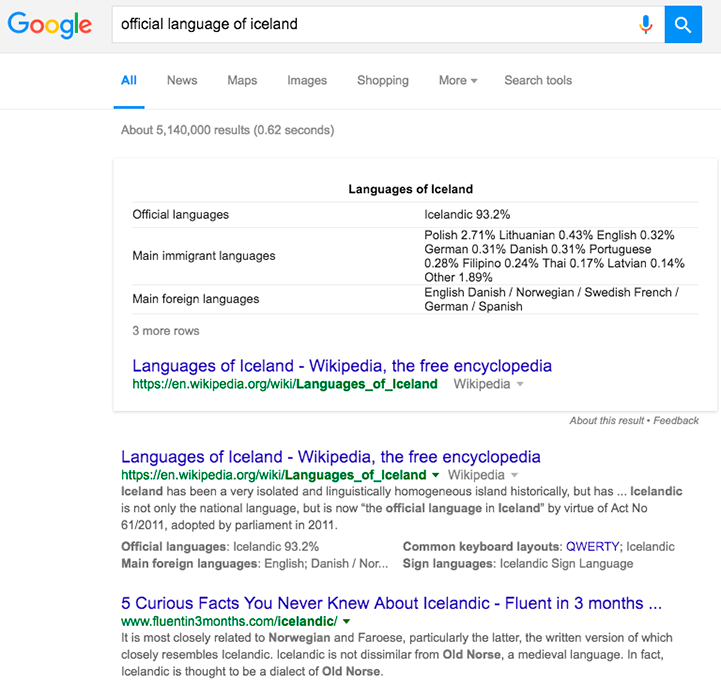 They could start by creating content on their website, optimized for the knowledge graph, that explains what language is spoken in what country. 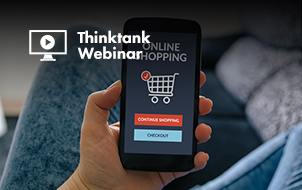 Each of these pages can easily lead the searcher to either purchase their product or sign up for their course. 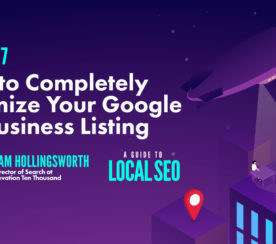 It’s just a matter of offering up information that is good for Google and the searcher, and letting that information naturally lead to a product to help the searcher take the next step. Because chances are, if they are searching for this, they could be planning a trip or a move to said country, in which case they will need to know the language. To summarize, here’s what you should do if you have a website and want to get clicks from search in relation to a Google Answer Box. Start by finding out if there is a Google Answer Box that relates to content on your website or content that you could create for your website, as shown in the examples above. Create content that matches the Google Answer Box, goes into more depth, and make sure it is using the correct markup. Aim to be either the source of the Google Answer Box or the closest to the Google Answer Box as you can get. 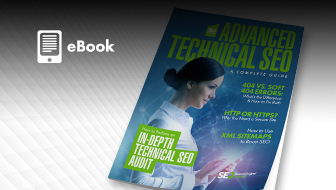 Make sure your page’s SEO title and meta description tell the searcher you have even better information than the Google Answer Box to encourage them to click on your link. Also, make sure it includes the query the person would search to find the Google Answer Box. 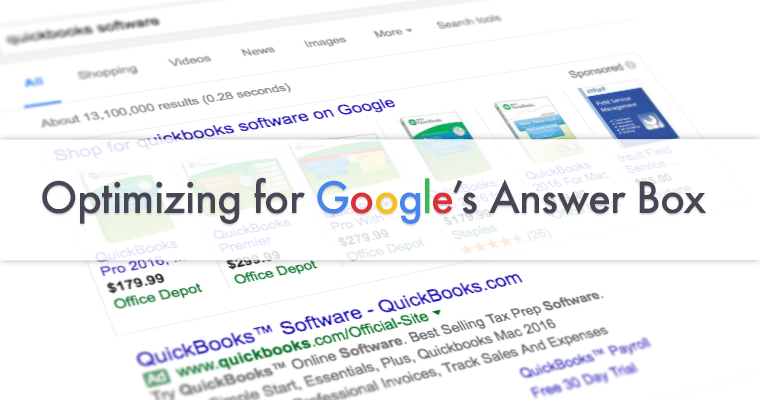 Build links to your Google Answer Box content using anchor text that matches the Google Answer Box call to action (if you have software) or the query the person would search to find the Google Answer Box. All screenshots by Aleh Barysevich. Taken June 2016.